Margaret Sarfehjooy, prominent Minnesota peace activist, remembered | Fight Back! Minneapolis, MN - Margaret Sarfehjooy, a tireless, fearless and greatly respected anti-war activist, died suddenly and unexpectedly on April 28. She was a longtime member of WAMM (Women Against Military Madness) and on the organizations board for many years. Margaret was an articulate speaker. At the recent March rally commemorating the 14th anniversary of the beginning of the war on Afghanistan, she spoke about U.S. threats and attacks on Iran. She was an excellent writer. Her article in the latest edition of the WAMM newsletter, “Are State Legislatures Demanding a Loyalty Oath to Israel?” exposes and analyzes the top-down attempts to criminalize the growing Boycott, Divest and Sanction movement. Margaret was unwavering in recognizing official efforts to sell and justify war and U.S. intervention to the American people. Furthermore, she was skilled like few others at getting to the bottom of this propaganda and the organizations and the spokespeople who sell it. As chair of the WAMM Middle East Committee, she arranged for many speakers and Skype interviews with activists from around the world; among them, Mother Agnes from Syria; Mona El-Farra, physician from Gaza; Diana Johnstone, a Paris based journalist, and former Senator James Abourezk. Margaret was active on a national level. She was a member of UNAC (United National Antiwar Coalition) and, along with activists representing movements across the country, met on three different occasions in New York City with President Ahmadinejad of Iran. “What I will miss most about Margaret is her calm energy and tenacity for the truth. She was dedicated to ensuring that peace and justice were at the forefront of any action. 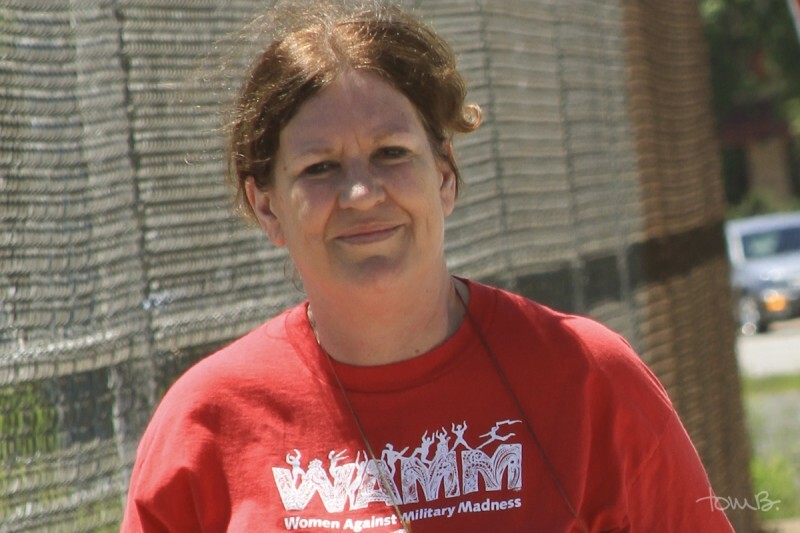 I will miss her greatly,” stated Suzanne Al-Kayali, WAMM director. "Margaret was both a gentle, non-assuming person and a powerful advocate for peace and justice. Her death is a tremendous loss to WAMM and the entire peace community here in the Twin Cities,” says peace activist Marie Braun. Margaret was a nurse for over 30 years and an active member of her trade union. Margaret Sarfehjooy is survived by her husband Hossein Sarfehjooy and sons Kave (Carol) and Khavan as well as family on both sides. Visitation is at 1:00 p.m.